Crushed red pepper is a condiment consisting of dried and crushed (as opposed to ground) red chili peppers. 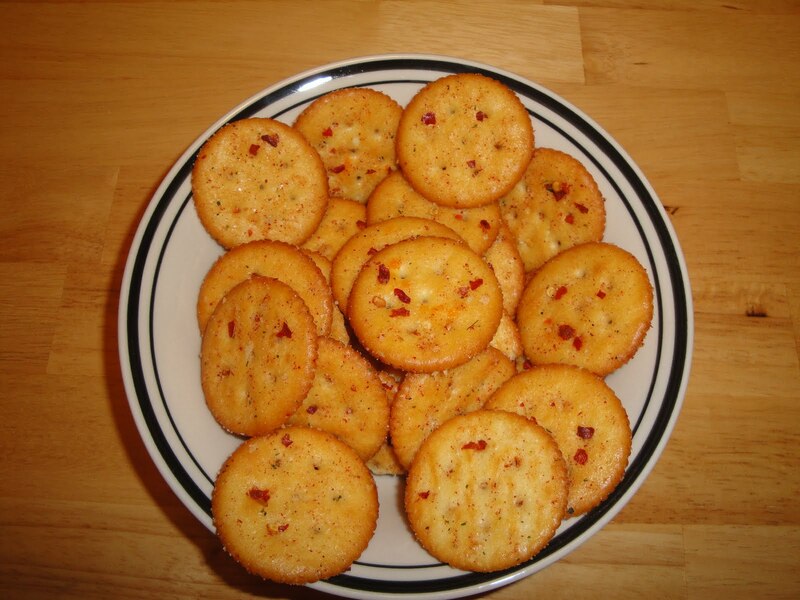 Crushed red pepper is made from hot dried red peppers. Crushed red pepper shakers have become as standard as salt and pepper on tables at Italian restaurants and especially pizza parlors in the United States. Crushed red pepper is not made of one type of chili, but from various combinations of ancho, bell, cayenne and more. Often there is a high ratio of seeds, which intensifies the heat of the pepper. Crushed red pepper is used in pickling, chowders, gumbos, spaghetti sauce, pizza sauce and sausage. As chilis have become more popular the styles and varieties of peppers used to make crushed red pepper has also increased. Would you like to share a family recipe with us on Christine's Pantry? If you are interested, please send me an email at, christinespantry@gmail.com. You don't have to have a food blog to share a family recipe with us, everyone is welcome. On 9/10/11 my rainbow pepper boats made top 9 on Foodbuzz. Awesome! Place crackers in 2 gallon zip lock bag. In a bowl, add oil, dry ranch dressing mix, dry fiesta ranch dressing mix and crushed red pepper flakes, mix well. Pour mixture in the bag with the crackers and shake lightly until all the crackers are coated. Let crackers stand for one to two hours (preferably overnight), you want the crackers to soak up the mixture. Place crackers in airtight container. Enjoy! Sounds so good to munch on! I have loved buttery crackers since I was a kid..... but this certainly makes them a little more fun and grown up :) Sounds yummy. These looks so crunchy! I would love that with some hot soup or coffee. These crackers sound so yummy, Christine!! Yes, this takes an old favorite and spices it up a bit. I'm thinking melting some cheese on these would be great! I am a big fan of ranch flavors and I will be looking for the fiesta mix my next trip to the grocery. This is a great go to recipe for a quick party snack! Yum! What a great, simple idea to spice up an average cracker. Delicious!! sounds so easy and delicious!!!! can't wait to try some! I shy away from made from scratch cracker recipes, I mean really? So I was pleasantly surprised to see this idea...semi homemade!! This would be good with hot soup. Melted cheese on these crackers would be great. Yum! How easy is this! Thanks Christine. 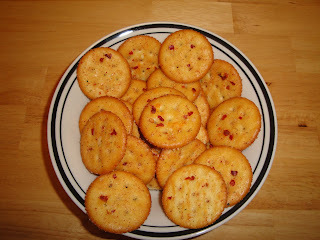 What an interesting spiced cracker recipe! I love crushed red pepper on so many things! Great idea to use it on the crackers! Thank you so much for your kind comments. Y'all and your comments mean the world to me. oh those crackers sound like they have so much great flavor! Such a simple recipe - brilliant! I did not find "fiesta" ranch but used spicy ranch. I figured it was the same. And btw: yiu cant stay away from these things. I am glad you like this recipe. Thank you so much for the feedback.